This was a great pack for the trip. 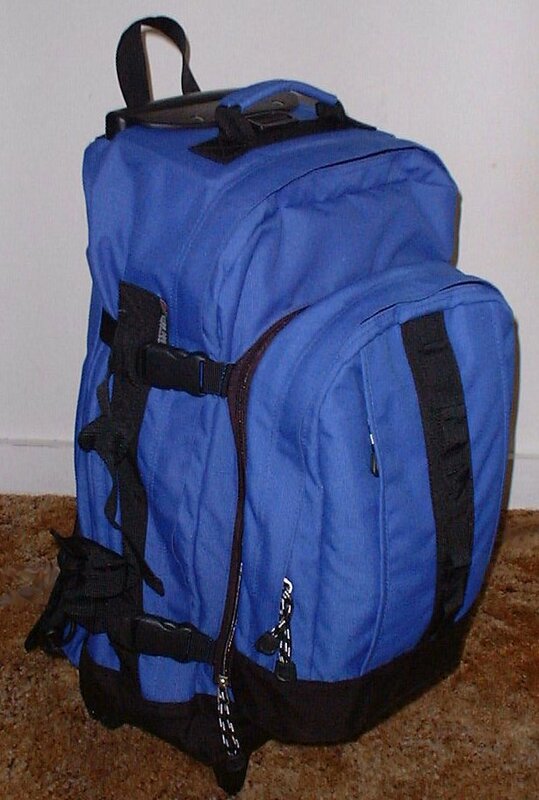 You can pull it on its wheels or wear it as a back pack. Plus that pouch on the front is a little day pack you can detach. It's small enough that you can carry it on to the plane (unless you're carrying extra things that you bought on the trip and it's too heavy, of course). 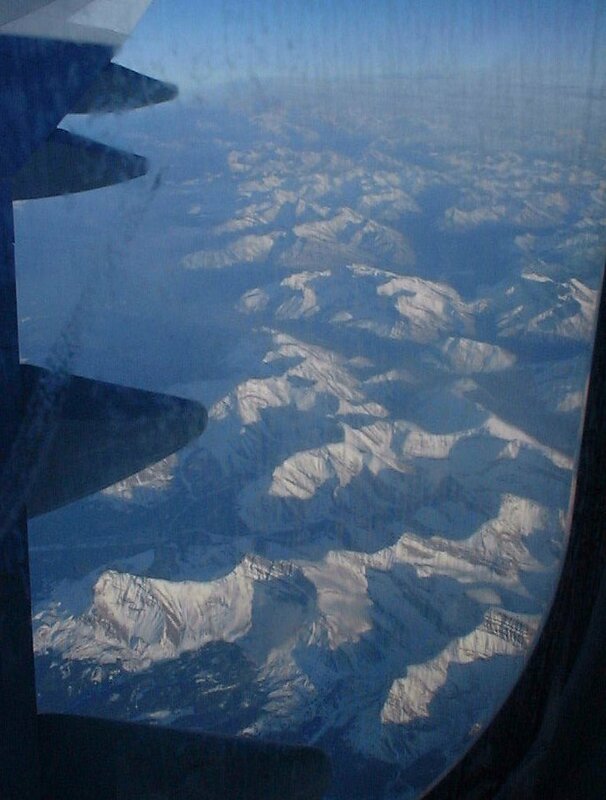 This is the Canadian Rockies as seen through a dirty airplane window. That's probably not too far from where we drove for our vacation last year. 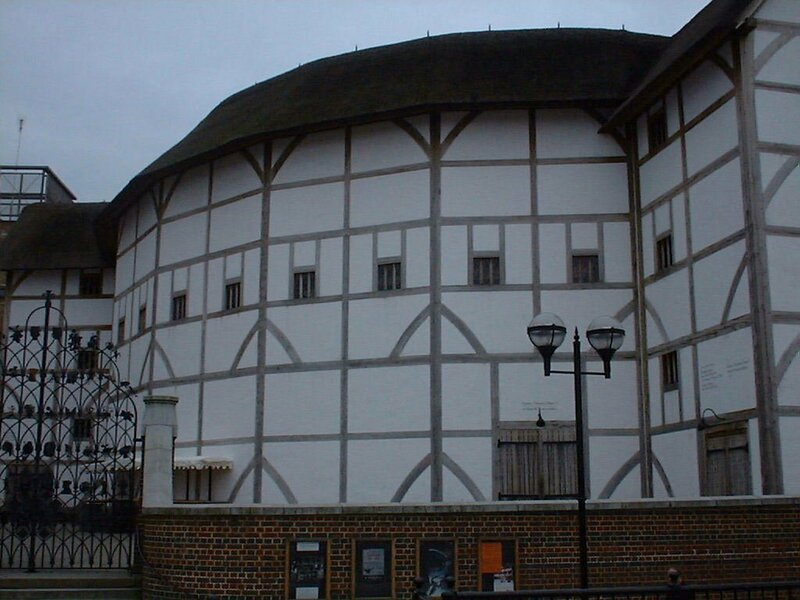 This is a recently redone copy of Shakespeare's Globe Theatre in London. 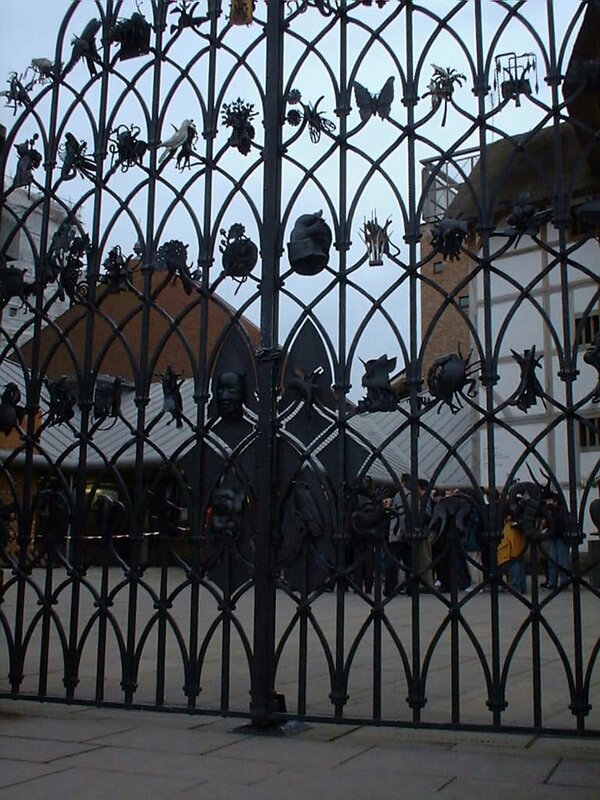 Unfortunately their season didn't open 'til after we left. 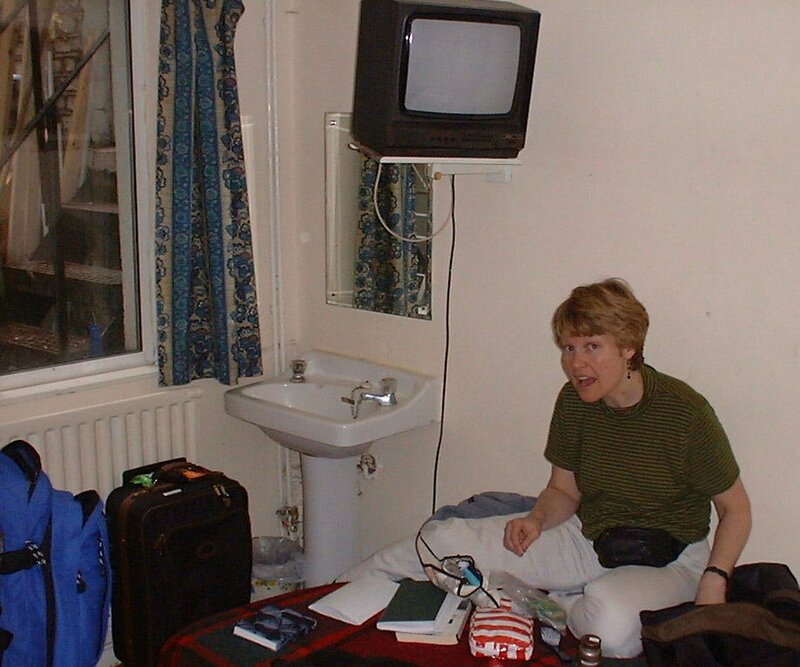 This is our room in the Kingsway House Hostel, a cheap, noisy little place in Earl's Court, London. 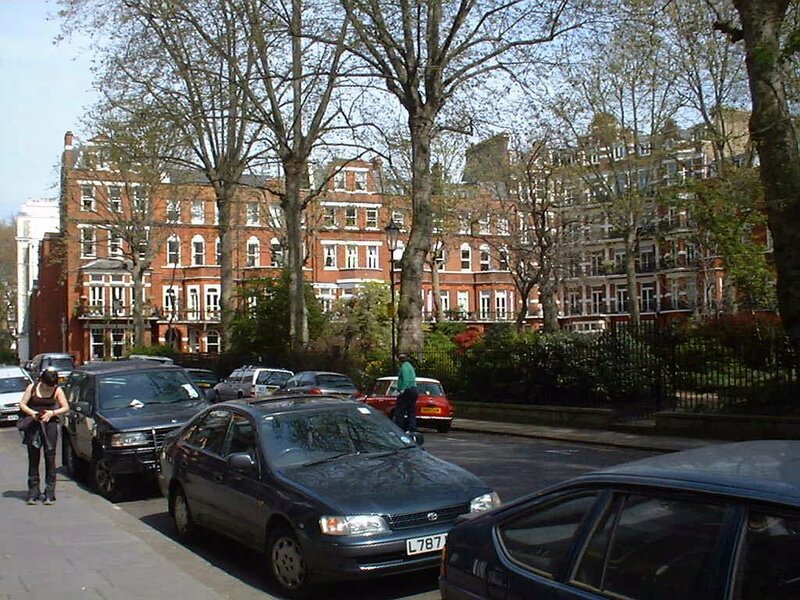 After our plane trip and wandering around London a bit to keep ourselves awake, we decided to hit the sack early, around 8. Unfortunately, their fire alarm went off from 9 'til 9:20. After assurances that there wasn't really any fire, we went back to sleep. At 2:00am, a noisy group of people stomped in to the place and stayed up at least 'til 4:30 talking very loudly. 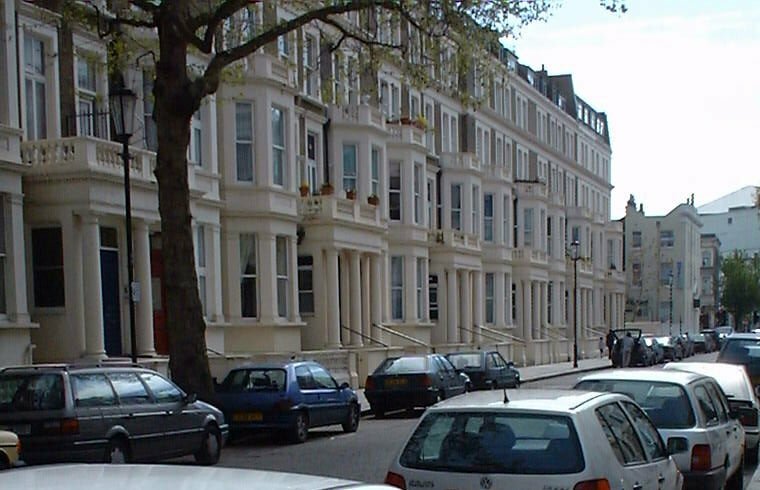 These are a couple views of the area around Earl's Court, London. On Monday, we took the train from London to Penrith, in northern England, not far from Scotland. 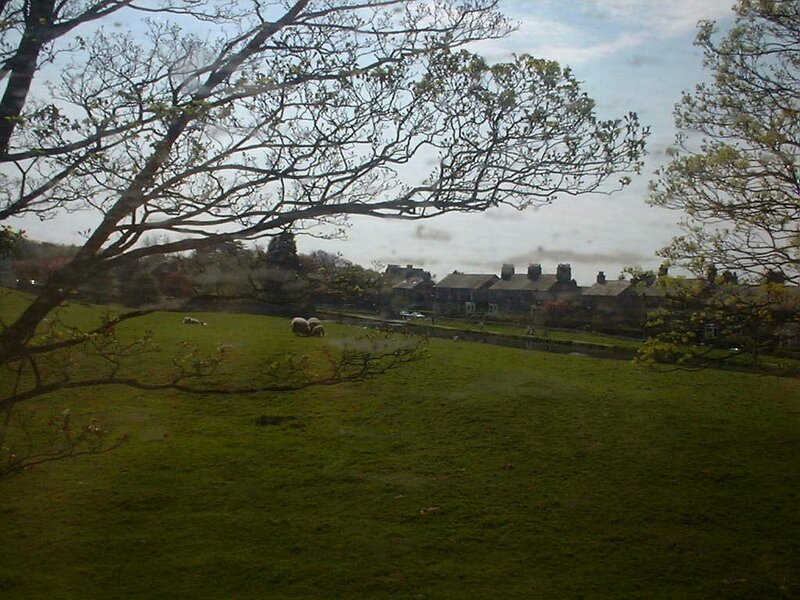 This is a view through a dirty train window of the countryside on the way.